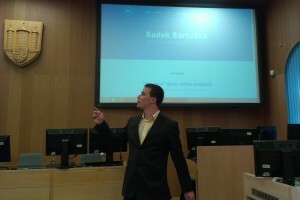 On Thursday 12th february will give the lecture by the company LARX s.r.o at the city Hall of České Budějovice for non-profit organizations on the topic of internet marketing. It is the free accessible training, which is focused on non-profit organizations, which are the relatively unkissed marketing audience. At the end of the training me and my three colleagues from the company LARX s.r.o. make with selected organizations the workshop on their specific problems and requirements. All is free for non-profit organizations, we are glad, that we can do it good things and we want to support the nonprofit sector by the knowledge transfer in such an important area of our time – Internet marketing. Introduction to Internet Marketing, discussion about topics – 30 min.